The New Economy Initiative (NEI) and Model D are seeking submissions for the Second Annual Startup Story Night, a storytelling event for metro Detroit entrepreneurs. This year’s storytellers will receive one-on-one training with host Satori Shakoor, founder and executive producer of the Secret Society of Twisted Storytellers®. Submissions are being accepted now through Friday, January 12, 11:59 p.m. Interested entrepreneurs can submit a brief overview of their startup story here. NEI and Model D are asking local entrepreneurs to submit their stories based on this year’s theme, “Love What You Do,” focusing on the lengths business owners go to for the love of their companies. All southeast Michigan-based entrepreneurs, new and experienced, are encouraged to apply. Congratulations to my 2013 Book Club and Readers National Contest Winners!!! A HOUSE DIVIDED when it is published in May 2013. For media interview requests or press material relating to my books, please contact Linda Duggins, Director, Multicultural Publicity at Linda.Duggins@hbgusa.com. **permission to share. **for full posts, go to: http://motownwriters.blogspot.com and don’t forget to forward this to other readers and writers in the Michigan Literary Community and share on your facebook, twitter and other social networks. Thanks!! http://motownwriters.blogspot.com to see the details. Updated standings for the EchoVerse Poetry Slam poets as of 03/06/09. Fw: Crossing 8 Mile tickets on sale NOW! if you'd like to be a guest. 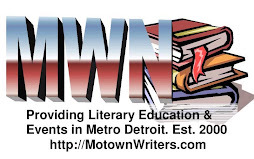 I’m going to say outright to new and old members: VISIT OUR NEW WEBSITE: www.motownwriters.com. Michigan Literary Network Radio show every Wednesday at: http://blogtalkradio.com/MichiganLiteraryNetwork. The Wright Times from the Charles H. Wright Museum.. Breaking News – Governor Recommends Cuts to Arts. Literary Network Radio Interviews with Author, Marquita Scott. Black Web 2.0 – 10 Tips to get the Most . . . Attend for $295! Black Enterprise Magazine Conference. THE DATE: SERVING JUSTICE BOOK RELEASE PARTY. The MONTAJ Update!!! – Metro Detroit Networking. update from Brenda Farrar-Ejemai: Henrietta. Newsletter: I Love You . Writers Network Feature Author of The Month. 4 Days until Talib Kweli & jessica Care moore. Locs or Life: Kalimah “LocMama” Johnson’s . Growing Any Business Idea in 90-Days!!!! . Black Revolution & Fashion: Jessica Care Moore. Best Seller Campaign: How to Market & Sell Gob. Yourself Permission to Win from Michigan Author. Energy: How to Use the Power of Partnership. aspiring author contest from Romance Slam Jam. Can Sell More Books! – Print Magazines Going D.
He Said She Said the stage play. ‘Sister2Sister’ Launches Romance Writing Contest. Registration is open for February Teleseminars. ByteThis Poetry and Slam Series IS FEATURE FREE. . ..
Out of the Box | Before Publication Publicity. author Frances Shani Parker at a book discussion. Urban Theater Magazine is seeking . . .
Bad and Stupid Girl – Michigan Literary Fiction . Drum Bookshop – in danger of closing – seeking support. BREAKING NEWS – Your Action Needed! News from InsideOut Literary Arts! Media Super Stars Series on The Synergy Ene. . .
Marketing Tip: Get More News Coverage–Be Ti. 5 Books on 1 Portable, Indexable & Searchable . . . Celebrate Making History Everyday at the Museum. Energy: The New Marketing Movement by Pam Perry..
Michigan Chronicle : Sister Souljah book signing. 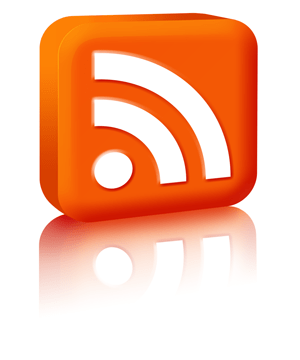 of Auto-responders, Articles and Separa. . .
MA ** Detroit Author Debuts Urban Novel . . .
Children’s Book Writers and Illus. . Emerging Writers Network – The 3rd Annual AWP. . .
Spring Book Show announces two day-long Atlanta. You’re invited to attend the LBW 2009 Annual. for submissions: African American Relationship. WHY GOING TO A WRITERS’ CONFERENCE PAYS OFF. Author appearance: Tom Stanton « Ron Kaplan’s Ba. .
Marie Jones and Karen White Owens on Michigan Literary Radio Network. GRAAND 411 – Why ArtServe Supports the Closing. . Moments Newsletter -5 Minutes 2 Show Tim. . .
2009 News & Grant Opportunities: Michigan. .
Internet Marketing Strategies to Promote a Website. Writers Network Update: They still matter. . .
ByteThis Poetry and Slam Series gets LOGICal! from a Frequent Contest Winner from Poets &…..
for a Managing Editor!!! @ The Free Fall . . .
to the literary community in Detroit! I've gone and changed up the website YET AGAIN! website and find out more information. [PODCAST] Janet Muirhead Hill – Writing "True Fiction". Fw: Nine Personal Branding Predictions for 2009 . Book Release – Prelude to Praise is here! fwd: Looking for writers who would like to be freelancers. Are you a Michigan E-Author? Let us feature you!! Buy A Book to Prevent Blackstar From Closing & more news..
Detroit Author Sponsors Seminar for Aspiring Christian Writers. Check out "What Kind of Literary Events Would Bring you to Participate?. Gwen Cannon book release party! Check out "How do you prep for your novel?" Fw: Bringing The Conference To You – Online Workshop. http://motownwriters.blogspot.com and the topic will be there. to share? Want to learn about the publishing industry? held at IGNITE, located inside MGM Grand Casino. new everyday, life-lessons book, "Standing On God's Promises." Your Feature Could Be Here! link to the literary community in Detroit! of murder, mystery and suspense authors from Michigan. our corner of MWN where we can share our poetic dialogue. place to give a smile. publishers, authors, and readers of comic books. and more! Add yours here! NO SPAM!